Hurricanes are one of nature's most powerful and destructive phenomena. We’re all too aware of the devastation caused by the events of recent years - in 2017, Hurricanes Harvey and Irma saw over 100 fatalities in the US, making 2017 the 17th deadliest hurricane season since 1900. And none can forget the devastating events of 2005 when Hurricane Katrina overwhelmed the levees in New Orleans and inundated the city, killing more than 1,000 people. On average, 12 tropical storms, 6 of which become hurricanes form over the Atlantic Ocean, Caribbean Sea or Gulf of Mexico during the hurricane season which runs from June to November each year. In the Central Pacific Ocean, an average of 3 tropical storms, 2 of which become hurricanes form or move over the area during the hurricane season, also running from June to November. Guam, the Northern Marianas and Micronesia experience typhoons all year round but the main season runs from July through to November with a peak from mid-August to mid-September. Over a typical 2-year period, the US coastline is struck by an average of 3 hurricanes, 1 of which is classified as a major hurricane (winds of 111 mph or greater). 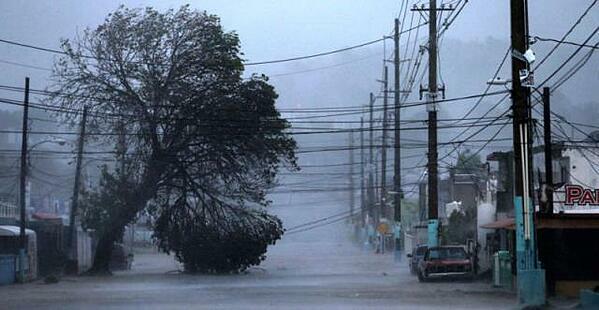 Hurricanes and tropical storms usually occur at predictable times of the year over different oceans of the world. This does not however preclude the possibility of storms occurring at other times. While hurricanes pose the greatest threat to life and property, tropical storms and depressions can also be devastating. The primary hazards from tropical cyclones (which include tropical depressions, tropical storms, and hurricanes) are storm surge flooding, inland flooding from heavy rains, destructive winds, tornadoes, and high surf and rip currents. Storm surge is the abnormal rise of water generated by a storm's winds. Storm surge and battering waves can result in large loss of life and cause massive destruction along coastlines. Storm surge can also travel several miles inland especially along bays, rivers, and estuaries. Flooding from heavy rains is the second leading cause of fatalities from land falling tropical cyclones. Widespread torrential rains associated with these storms often cause flooding hundreds of miles inland. This flooding can persist for several days after a storm has dissipated. Winds from a hurricane can destroy buildings and infrastructure. Signs, roofing material, and other items left outside can become flying missiles during hurricanes, increasing the localised hazards. Tornadoes can accompany land falling tropical cyclones. These tornadoes typically occur in rain bands well away from the centre of the storm. Prior to booking your trip, find out if you will be travelling during the storm season. Whilst there, monitor local media and weather reports. Prior to booking your accommodation, find out if they have a preparedness plan or contingency plan in place in the event of a hurricane, tropical storm or tropical cyclone. On arrival at your accommodation, ask about the hotel's storm disaster plan; who you can ask for information on local weather conditions and what radio or television stations you should monitor. If a hurricane, tropical storm or tropical cyclone hits the area, follow the advice of the hotel staff and locals. Have some cash set aside that you can use in an emergency. Once the hurricane, tropical storm or tropical cyclone has passed, ensure you contact family and friends to let them know you are safe. Persons residing in areas susceptible to storm activity, particularly during hurricane/tropical cyclone season, should keep abreast of available news. You can do this by listening to local radio stations, watching local television or logging on to websites such as Tropical Storm Risk (TSR). Monitor local media and weather reports during the storm season. Plan several escape routes out of the area. Allocate a safe room in your house which can be used for the duration of the hurricane/tropical cyclone - this room should ideally have no exterior windows (such as a basement) although if such a room is not available, choose one with few windows or one that is on the far side of the house from the direction the storm is approaching. Make sure all family members are able to fit into the room comfortably and decide on an alternative room as a backup option. The storm's landfall prediction can be misleading as strong winds could arrive prior to the official landfall - therefore, start preparing as soon as reports of a hurricane, tropical storm or tropical cyclone are first issued. If time allows, move to another location outside of the storm zone. Review emergency plans with your family and practise moving to the allocated safe room. Fill vehicle petrol tanks and check you have a spare tyre, car batteries, oil and water. Keep a battery-operated torch on hand. Start gathering supplies of water and non-perishable food items. Obtain supplies of necessary medications, batteries and torches, recharge mobile phones and have some cash on hand. Seal important documents in a water-proof bag or container. Secure your home with shutters and move outside furniture, potted plants and anything else that is loose into the house or garage. Move cars into garages if possible. If not, park vehicles away from trees, electricity poles and street lights. Secure any loose items inside the house and tape up cabinets and cupboard doors. As there is the likelihood that water pipes and electricity cables may be damaged during the storm, it is advisable to fill your baths, sinks and bottles with water and to put all perishable foods into your fridges or freezers, which you should turn to the coldest setting. Move any valuables off the floor to prevent flood damage and move furniture away from the windows. Continue to monitor local news on radio or television. Do not use any electrical appliances or the telephone. It is however recommended that conditions are monitored during the storm, especially to know when the storm has passed. It is recommended that a battery operated radio be used for this purpose. As conditions deteriorate, move to the allocated safe room. Stay indoors and monitor local news for official reports that the storm has passed. Quiet conditions may indicate that you are in the eye of the storm and there is more to follow. If officials report it is safe, you may move out of the safe room. Walk around carefully, as debris and downed power lines can be dangerous. Also look out for insects and snakes which may have been driven into the open by high water levels. If you left your home for the duration of the storm, do not return until given the all-clear by officials. Find out which roads are passable and drive carefully as conditions may be hazardous. Only call emergency services if you have a life-threatening situation; call family and friends to let them know that you are safe. If using a mobile phone, keep conversations brief as you may need to preserve the battery life of the phone. A better understanding of tropical cyclones and hurricane hazards will help you and your organisation to make a more informed decision on the potential risk and what actions to take. Ensuring that you have access to real-time threat awareness and risk information will also help you to keep personnel informed and protected should they find themselves affected by an incident.